In addition, his short stories, poetry, and essays have appeared in numerous publications, including Soft Cartel, Spelk, Furtive Dalliance, Ginosko Literary Journal, Whatever Our Souls, Down in the Dirt Magazine, Kairos Literary Magazine, Literally Stories, Corvus Review, The Scarlet Leaf Review, the Bond Street Review, poems2go, The Machinery -- A Literary Collection, Baby Lawn Literature, Peachfish Magazine, The Avalon Literary Review, Random Sample, Foliate Oak Literary Magazine, Crack the Spine, Writing Raw, Alfie Dog Fiction, The Faircloth Review, Fiction on the Web, Epiphany Magazine, Fringe Magazine, the Waterhouse Review, Troubadour 21, the Big Stupid Review, Eunoia Review, Greensilk Journal, Pulse Literary Journal, Blue Ships Magazine (story; poems), Wind Magazine, Litsnack, The Houston Literary Review, trans lit mag, Red Fez, the Legendary, the Fine Line, Milk Sugar, the Piker Press, new aesthetic, worldwide hippies (story; essay and poems), Wilderness House Literary Review; Midwest Literary Magazine, 63 Channels, Moronic Ox Literary and Cultural Journal (poems 1; poems 2; poems 3), Five Fishes Journal, Eclectic Flash, eFiction Magazine, Connotation Press, Ink Monkey Magazine, The Battered Suitcase, Blue Ships Magazine, Shorelines Literary Magazine, Greatest Lakes Review, Fiction Collective, Bracelet Charm Quarterly, First Literary Review, Poetpourri, Poetry Motel, Delirium, CWG Newsletter, Poetalk, Poet's Page, Poetic Hours, the Poetry Peddler, Poetry Forum, the Poet's Haven, the Advocate, Desperate Act, Hazmat Literary Review, Mobius, Innisfree, the Parnassus Literary Journal, Verbal Expression, Bold Print, Woven Worlds, Long Story Short, 13th Story, Unknowns, Rochester Shorts, The Rochester Times-Union, and the anthologies, Beyond Lament: Poets of the World Bearing Witness to the Holocaust (Northwestern University Press, 1998), Messages from the Universe (iUniverse, 2002), America Remembered (Virgogray Press, 2010), Green (Midwest Literary Magazine, 2010), Looking Beyond (Scars Publications, 2011) Prominent Pen (dirt edition) (Scars Publications, 2011), The Lighthouse (Down in the Dirt, 2017), and The Light in the Sky (Down in the Dirt, 2017). 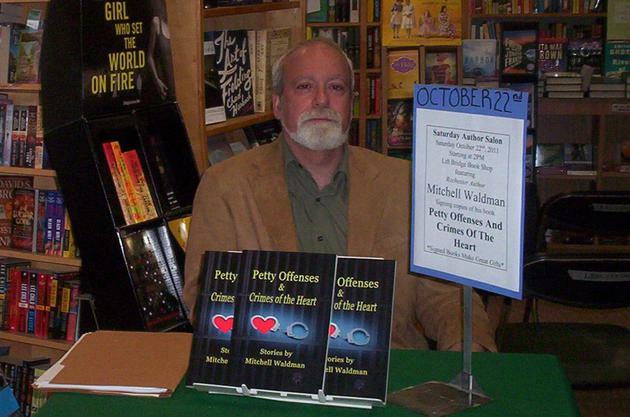 Waldman was also co-editor (with his wife, poet and journalist, Diana May-Waldman, author of A Woman's Song) of the books, Wounds of War: Poets for Peace (PublishAmerica, 2006) and Hip Poetry 2012 (Wind Publications, 2012), and is Fiction Editor of Blue Lake Review. 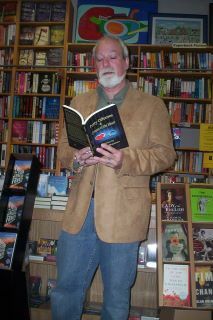 He has also written book reviews for Midwest Book Review and Scribes World.